We present a spectacular array of Glen Chimney for commercial establishments. Our Copper Chimneys is compact & fashionable and comprise specially designed stainless steel oil collector for easy oil collection and removal. Their designer looks make them a perfect choice to be used in modular and other types of kitchens. Tastefully clad in glass and stainless steel, these stylish new chimneys from Glen with great aesthetics, intelligent technology and more powerful blowers simply, whisk away the fume, odour & smoke from the kitchen. 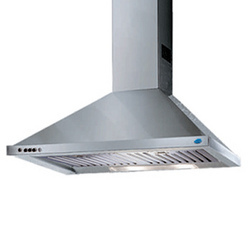 We are amongst the reputed organizations, highly engaged in offering an optimum quality range of Glen Kitchen Chimney. Owing to the efforts of our dedicated team of professionals, we have been constantly engaged in offering the best quality Kitchen Chimney. 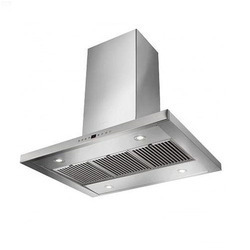 Being a customer oriented organization, we are highly engaged in providing a wide range of Kitchen Chimney. Gravity Home Solutions Pvt. Ltd.